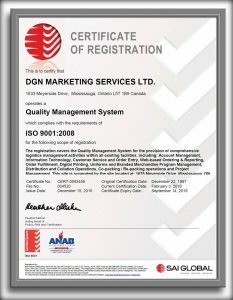 DGN is a Canadian leader in integrated logistics management within the marketing/collateral, consumer products and branded merchandise/uniforms field. Canadian owned, we have grown considerably over the last three decades – adapting to the ever-changing needs of our blue-chip customer base, and adding complementary services that remain tied to our core business. Our size allows us to offer the breadth of services required, while maintaining our nimble service ethic. Registered Quality (ISO) and Food Safety (SQF) systems are certified to current global standards. As a family owned and operated business since incorporation in 1984, DGN started out servicing corporate marketing departments through the supply of branded merchandise and managing core promotional programs. 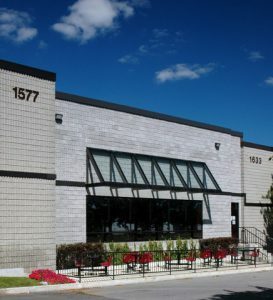 From there, we grew into warehousing & distribution; our service reputation led us to offer this as a core service for the marketing departments of corporations across Canada. Since then, we have evolved into a fully-integrated logistics firm. DGN has continued to prioritize the fundamental business principle of “Customer Service.” Our personnel are committed to this mandate and strive to ensure that any request, regardless of perceived significance or complexity, is completed to our customer’s satisfaction. Our personalised approach to consolidating each customer’s unique requirement remains our benchmark. As a quality service partner, DGN is com mitted to maintaining the highest quality and safety standards to meet each customer’s specific requirements. 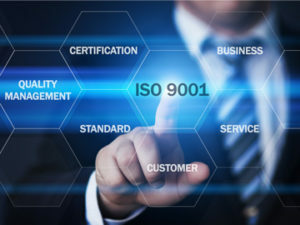 DGN’s entire operation and all facilities are audited to ISO 9001 standards – and have been since the 1990s. Our food re-packing operation is further certified to GFSI standards (SQF Level 2, FSC26), incorporating GDP/HACCP processes. An Isolated Production Area is audited to GMP and various additional client standards. We are also MDEL certified by Health Canada. Processes are consistent with a wide range of standards, adhered to by consumer packaged goods and consumer products organizations. A dedicated Quality Auditor is on staff. DGN strongly believes in giving back to the community, and have a tradition of community service at various levels throughout our history. Whether through participation in fundraisers, special events, product donations or active service we are proud to support many special programs. DGN executive sit on various charitable organization boards. As a firm, we have a long-standing tradition of supporting worthy causes across diverse areas of need, both locally (i.e. urban tree planting) and globally (i.e. polio eradication).